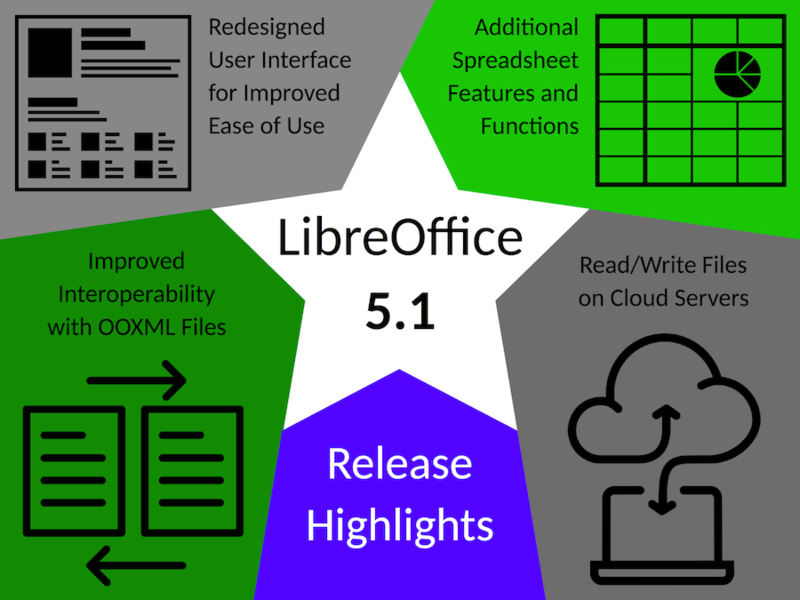 Berlin, February 10, 2016 – The Document Foundation announces LibreOffice 5.1, a full featured open source office suite which compares head-to-head with every product in the same category, while standing out with superior interoperability features. 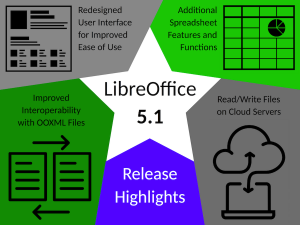 A complete list of the most significant new features is available in the accompanying press release (LibreOffice 5.1 New Features), and has also been published on the website at http://www.libreoffice.org/discover/new-features/. Short videos presenting the most significant new features for Writer, Calc and Impress are available at: https://www.youtube.com/playlist?list=PL0pdzjvYW9RHSwdRnZfaxAWICrkBrQl7k. 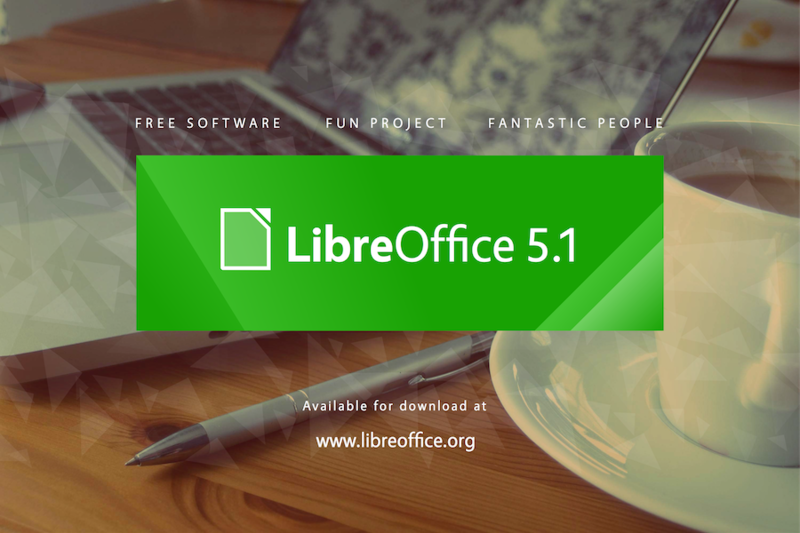 LibreOffice 5.1 is immediately available from the following link: http://www.libreoffice.org/download/. LibreOffice users, free software advocates and all community members can support The Document Foundation with a donation at http://donate.libreoffice.org. The entire launch pack, with background documents and the high resolution images, can be downloaded from: http://tdf.io/lo51launchpack. Some Windows 10 screenshots can be downloaded from: http://tdf.io/lo51screenshots.